The recent influx of refugees into Europe–the worst refugee crisis it has faced since World War II–has left the continent reeling and other countries either scrambling to find a solution or secure their own borders. What, exactly, is the EU doing about it, and what should they be doing? You can find out the following articles. For more, check out the live recording from our event on the topic last week here. 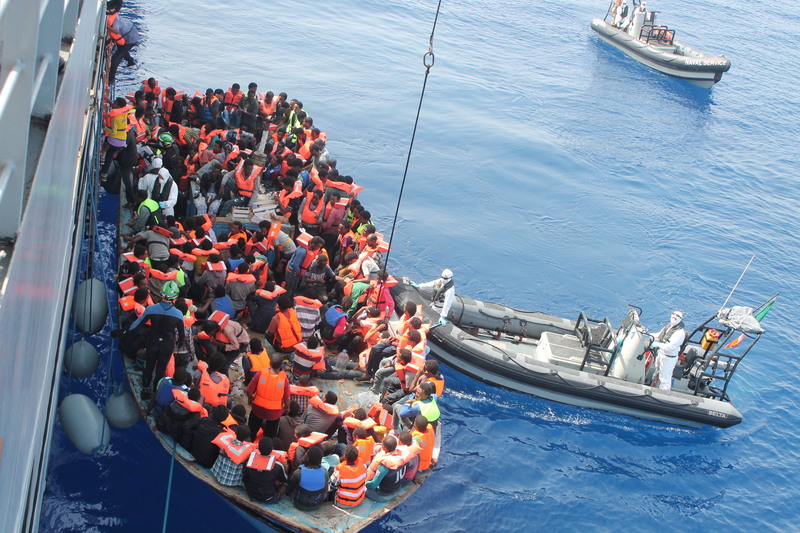 Assessing the EU and Britain’s Response to the Migrant Crisis: Time for a Foresight Approach? : Edward Wanyonyi looks at the EU and UK’s reactions to the refugee crisis and suggests an alternate approach. While the British society is quick to celebrate the achievements of Mo Farah, a citizen of migrant heritage, the current Tory leadership has not been shy to assert and defend its disdain of immigrants irrespective of the reasons- poverty or conflict. To them, Britain’s ‘way of life’ is threatened by the ‘swarm of immigrants’ as David Cameron recently remarked while in a tour of Vietnam in response to the Calais crisis. More recent pronouncements have presented the position that ‘migrants think Britain is lined with gold’ and therefore Her Majesty’s welfare system is a strong incentive. Such a position has often served to legitimise the current militarised response to the crisis that is flawed on two conceptual errors. First, the EU and Britain have nothing to do with the ongoing conflicts and state of deprivation, poverty in source countries and second, throwing money- in this case, the use of aid to establish micro enterprises will provide a stronger incentive for potential migrants to stay in their countries. Nothing could be further from the truth and here is why. The Migration Puzzle: In this article, PS21 fellow Jack Goldstone explores the conundrum that Europe faces in responding to the migration crisis as well as possible solutions, noting that this is not a new problem and will not let up any time in the near future. EU’s Response to Migration Crisis is Too Little, Too Late: Similarly, Katie Rashid explains why the EU’s response to the crisis isn’t good enough, and presents an option that has worked well in the past. Meanwhile, in Australia: The Other Migration Crisis: Australia has also seen a huge influx of refugees in the past year and–like the EU–is not handling it very well. Cecilia Diemont sheds light on this important but underappreciated topic. I Don’t Know You, I Don’t Like You: The Rise of Anti-Immigrant Movements in Europe: Finally, for a little context into what refugees face upon actually reaching Europe, check out this article by Sandy Schumann. Both UKIP and Pegida are supported by the general public for its anti-immigrant policies. What is surprising though is that these supporters are primarily living in regions where there are very few migrants or foreigners. UKIP (Image 1) received most endorsement in constituencies with a low proportion of immigrants. And in Saxony, the German State where the Pegida movement started, only 2.2% of the population are foreigners.